Hey, I actually managed to play and review all of this past holiday season's big, Triple-A releases! Hooray for me! I mean, sure it's the end of February, and I'm just now reviewing a game that came out last October, but at least I did play it. Since the refreshing exceptionalism of Black Flag, the Assassin's Creed franchise has been scarred by mediocrity and controversy. As such, I opted to buy the game used off of eBay so as not to support Ubisoft. This is after I had enjoyed Black Flag so much that I happily bought a retail gift copy for a friend and recommended the game to yet another friend. Heck, if the save file could have been transferred over, I would have gladly traded in my PS3 copy of Black Flag for a PS4 retail copy. Even Ubisoft realized that the series was growing stale, and stopped their cycle of releasing two or three games per year. 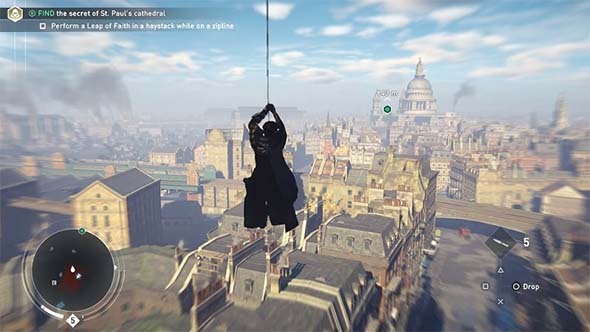 It's been two full years since the last full release (Assassin's Creed: Syndicate in 2015). The extra time certainly helped elevate Assassin's Creed: Origins above the chaff of the rest of the franchise, but not quite enough to propel it to true greatness. 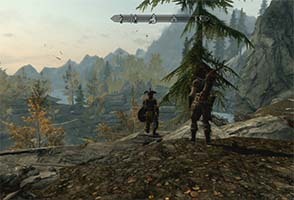 I played Origins on PS4, which means that I avoided the frustrations that many gamers reported involving Origins' multiple layers of DRM slowing down their computers. Wait, isn't Ubisoft the company that, years ago, publicly stated that DRM doesn't work, and that they "don't want to punish a paying player for what a pirate can easily work around"? This same company is now putting not one ... not two ... but three separate DRM applications on a single game? One of which is their own proprietary distribution service, U-Play? Is the company lying, or are they just scatterbrained and can't make up their mind? Or is the management just incompetent? Would exploring tombs and temples by torchlight become a common mechanic? Well, when I started up the actual game, I was pleasantly surprised that it starts off pretty damn strong. Even Black Flag was mired by an opening act that stranded players in a tedious, bog-standard Assassin's Creed sandbox city for a couple hours before opening up the seas by giving us our own pirate ships. Origins, however, has a very strong, distinctive opening chapter that eventually gives way to a more bog-standard gameplay experience. 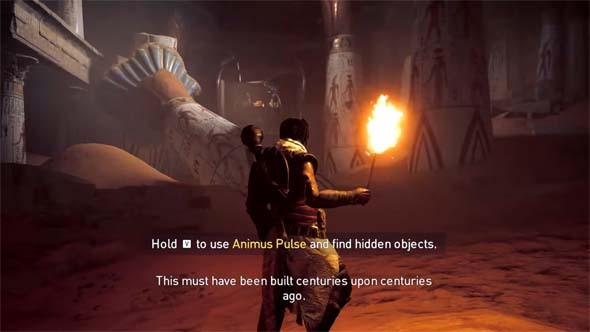 After an admittedly-silly and confusing opening cutscene that utterly fails to establish the setting or characters, Origins throws the player into a one-on-one duel to highlight the new combat mechanics, then hands main character Bayek a torch and asks the player to explore and escape from a derelict Egyptian temple. Then we head off across an intimidating swath of Saharan desert to the oasis that is Bayek's home town. Here, we have some open-ended exploration, hunting, rescue, and assassination missions. During this, we are introduced to the game's shining star: its setting and environment. Classical Egypt is magnificently brought to life in this game. 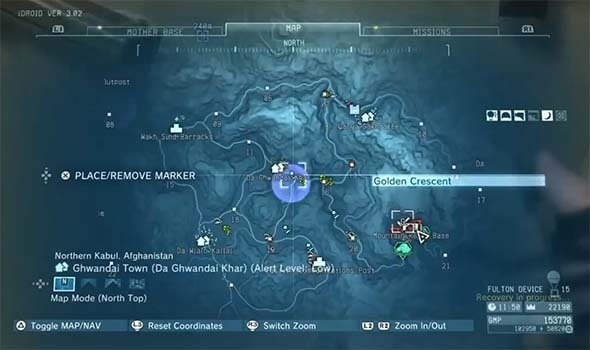 The map is vast and spread out, with large swaths of barren desert and sand dunes separating some of the game's regions. Small farming settlements and market hubs dot the environment, and each feels like a necessary part of a functional society. 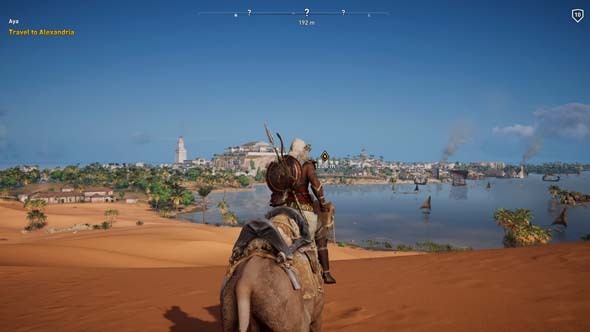 Best of all, Bayek isn't stopping every ten steps to pick up some random, meaningless collectible, and our map isn't cluttered with icons representing all this meaningless garbage. Egypt feels vast, is beautiful, and is brimming with life and energy. It occurs to me that there is a sad dearth of pirate and sailing games in the market. The original Sid Meier's Pirates! is almost 30 years old! And the PC remake was released all the way back in 2004. Other than that, the only pirate or sailing-themed video games that I'm aware of are mobile games. We saw a proliferation of cowboy and western-themed games after Rockstar's Red Dead Redemption (which, in hindsight, probably isn't as good as I gave it credit for). Perhaps Assassin's Creed IV: Black Flag could trigger a similar renaissance for pirate video games. And if those games are as good as Black Flag (or better), then that would be a real treat! 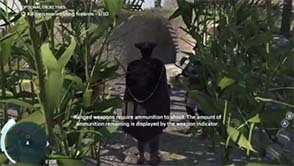 [LEFT] A plantation raid in Assassin's Creed III; [RIGHT] another plantation raid in Black Flag. 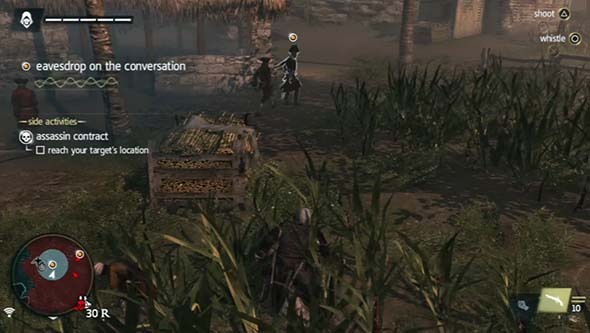 The first hour or two after Black Flag's introductory pirate ship battle is a bit dull because it's mostly just the same old stuff that you've played in Assassin's Creed III: exploring the little town and playing a few "go here, do this" missions with an assassination or two. Being stuck on land is usually pretty dull. In fact, some missions even seem copy-pasted from previous games. When I got to the mission in which I had to raid a sugar plantation, I couldn't help but think "Hey, didn't I already do this in III?" The only notable difference was that that the plantation raid was wrapped in a segment in which I had to pursue the plantation-owner's ship from a trade island to his plantation island. 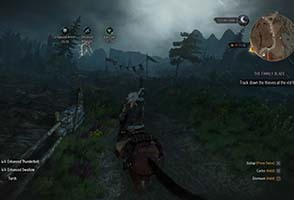 Over the course of the game, you'll frequently be forced to step back onto land for story missions. some of the environments are a bit original, since there's some trekking through jungles and along beaches and scaling cliffs to break up the monotony of the usual parkour that the series is known for. Most of these jungle paths are closed and linear, so you won't be exploring open jungle with a machete. The jungle and beach settings provide some visual variety beyond the city parkour, but are functionally similar. 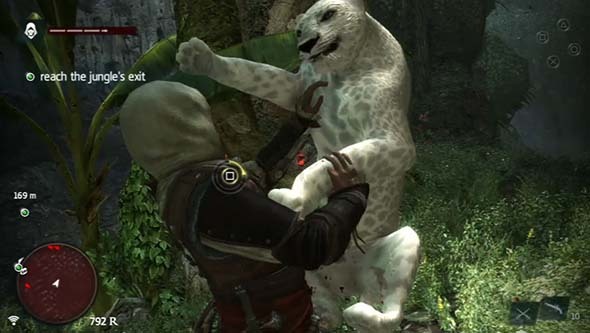 There aren't any dramatic new gameplay functionalities associated with the more rural and wild settings beyond the tree-hopping that was featured in Assassin's Creed III. So while these missions provide some visual variety, they don't add much to the actual gameplay. The biggest change is that it takes a lot of your freedom of movement away, since you have to follow more of the pre-designed trails through the levels, rather than having the freedom to create your own route. 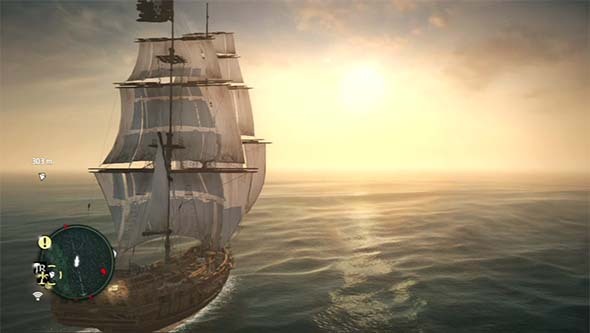 Black Flag sails triumphantly into the sunset as a stand-out game in an oversaturated franchise.